Why giving back is not just good for you, but good for your business too! Giving back is in our DNA and gives us the 'feel good vibes' when we're charitable. When your business gives back, the benefits are just as powerful. People want to do business with companies that give back. This is an easy way to humanize your brand and set the tone for what you stand for by making philanthropy the core of your business. 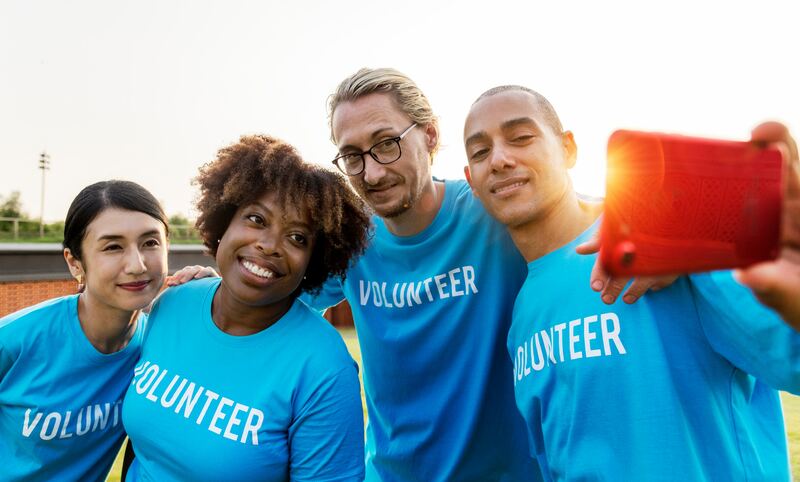 Having a corporate philanthropic philosophy in your business and giving back can have several benefits to your organization not to mention, add a competitive edge to your company when recruiting talent and allow you to stand out. Prospective candidates who may be involved in their communities and do volunteer work, will be attracted to your company for sharing the same values. Marketing your business, products, service offerings, ‘customer experiences’ are all great and necessary to your business, and aligning yourself as an organization that is committed to giving back is even better. Giving back can be in the form of charitable donations, grants or financial support, pro-bono work or simply time and the benefits go full circle. The local organization you may be supporting will benefit, your company who’s giving back benefits and your employees who may be participating will also benefit. Everyone wins! Size does not determine your ability as an organization to be philanthropic. You don’t have to be a large corporation and rely on financial donations to give back and the fastest and easiest way to start is often in our local communities. Time in itself is just as valuable and doesn’t break the bank. Whether you’re a small business owner, entrepreneur/solopreneur, etc. giving back has such a profound impact on the community you do business in and has benefits for everyone. Most people want to make an impact whether its in the work they do, or in the communities they serve. Giving back is in our DNA and is backed by science to make us feel good as humans. It’s the ‘feel good’ vibes we get when we’re charitable. Take a look at your organization, are you giving back and if so, how? Is there an opportunity to do more? Do you offer opportunities for your employees to give back? For volunteer work or other? While I would encourage you to make this part of your business philosophy at it’s core, as we approach the holidays, this time of year inspires the spirit of giving and is a great time to be demonstrating your philanthropic efforts and to give back. Lisa De Nicola is an HR professional with a specialization in Talent Acquisition. With a passion for people and connecting with others on a deep level, she's recently embarked on a journey where she is expanding her career and personal interests. Lisa is Usui Reiki II certified and is actively engaged in becoming an ICF accredited coach. Her passions include travel, fitness and reading. She's recently found the joy in writing again and LOVES to share her insights on general business topics and life through freelance blogging. Lisa strives to increase awareness and elevate consciousness in business and peoples lives through her writing and coaching.